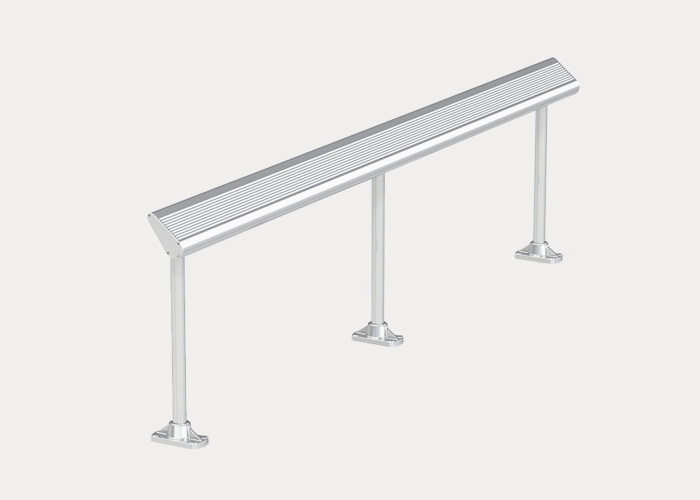 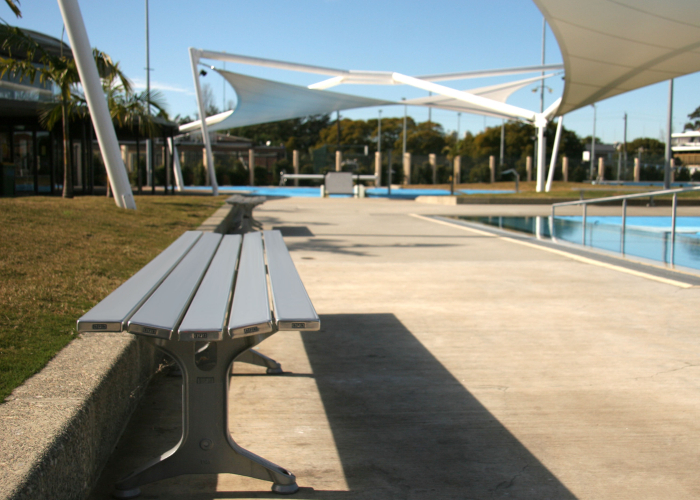 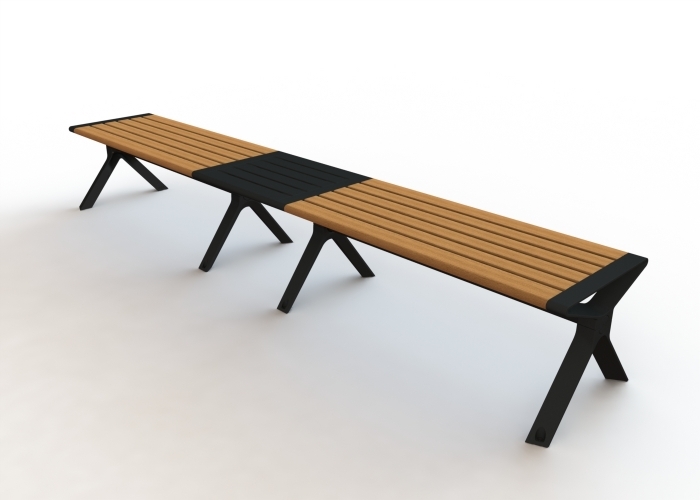 Aero Leaning Rail is a short-term rest solution for crowded areas. 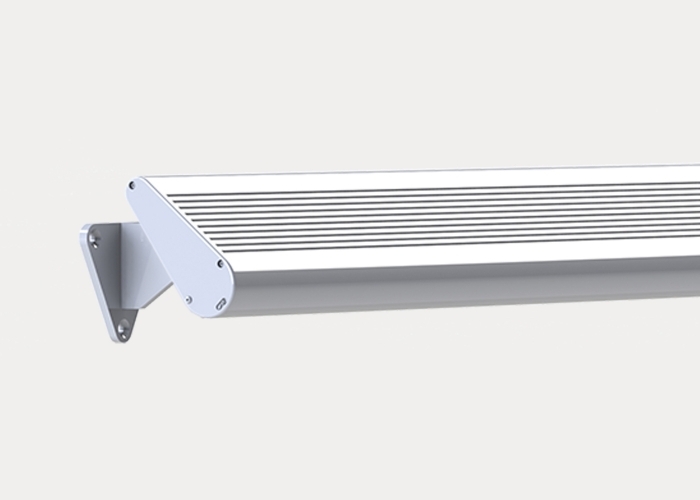 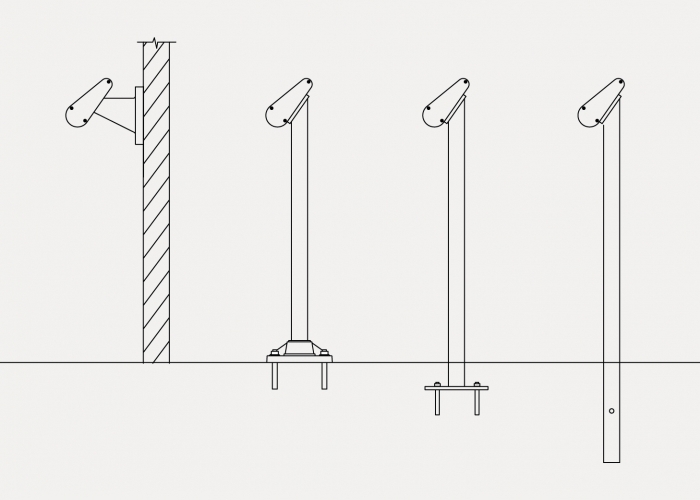 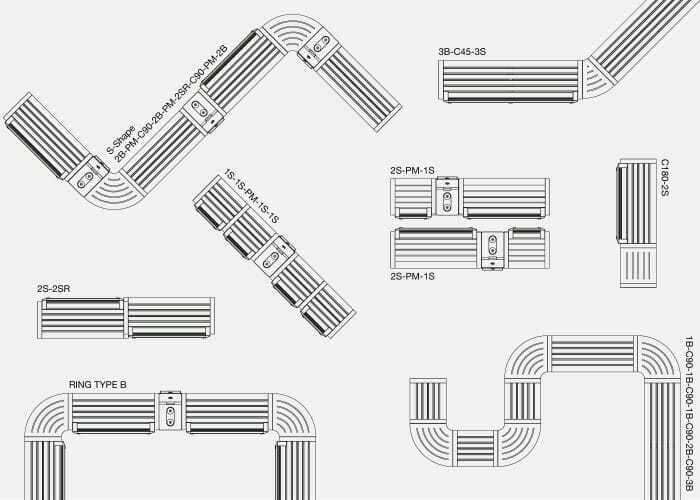 The unique extrusion in anodised finish is available up to 5.5 metres in length with various mounting options. 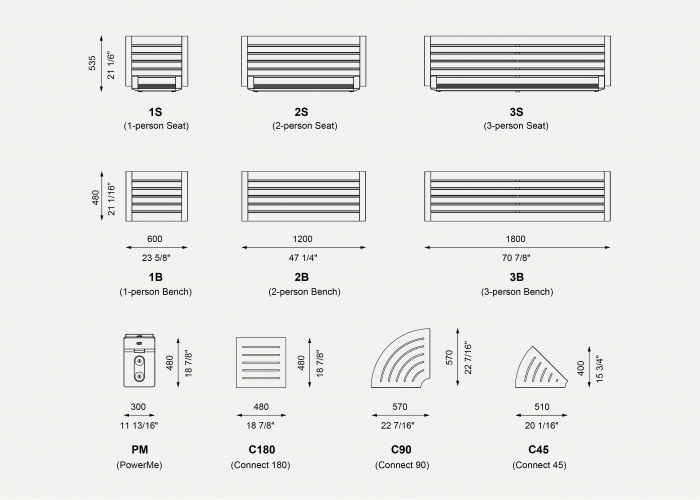 Powder coat frames and end caps in the colour of your choice. 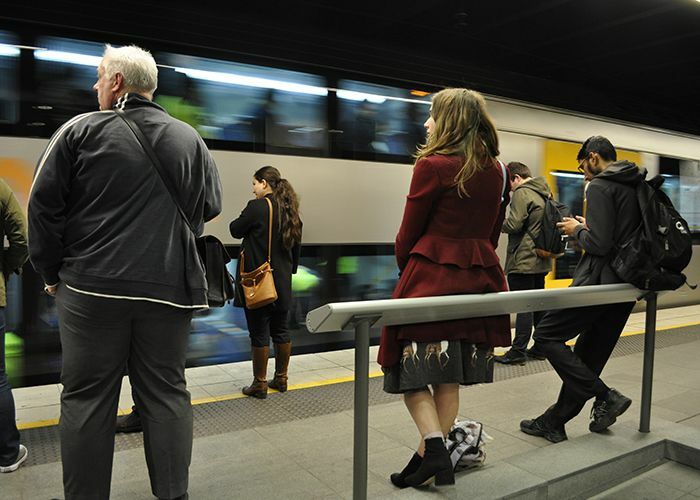 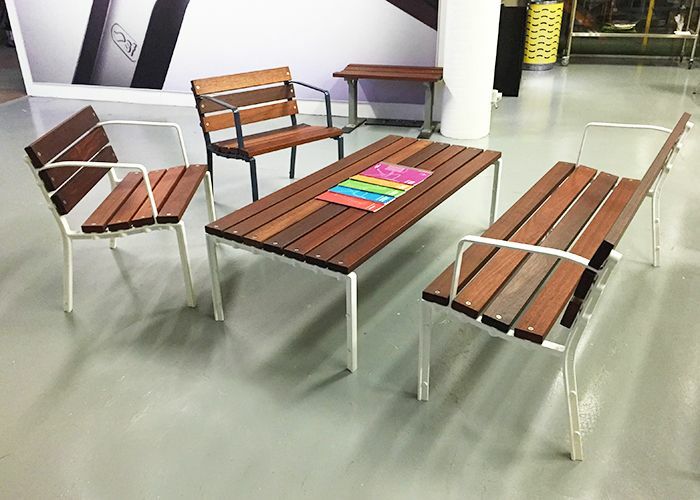 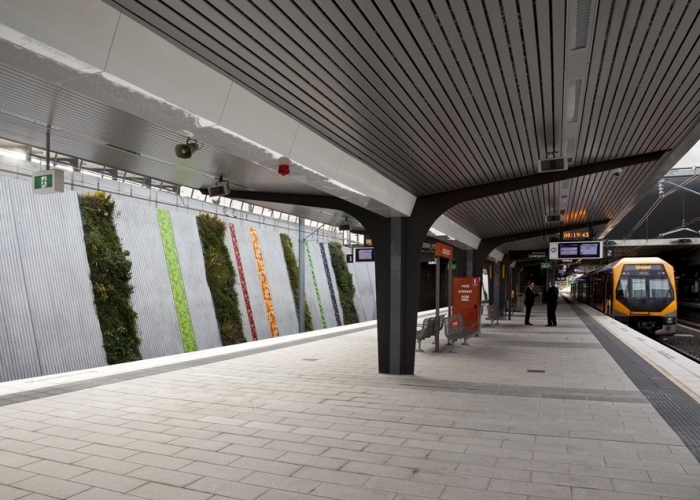 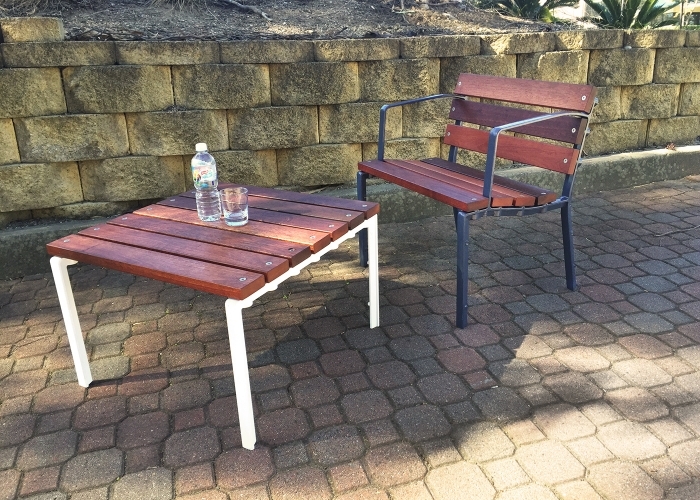 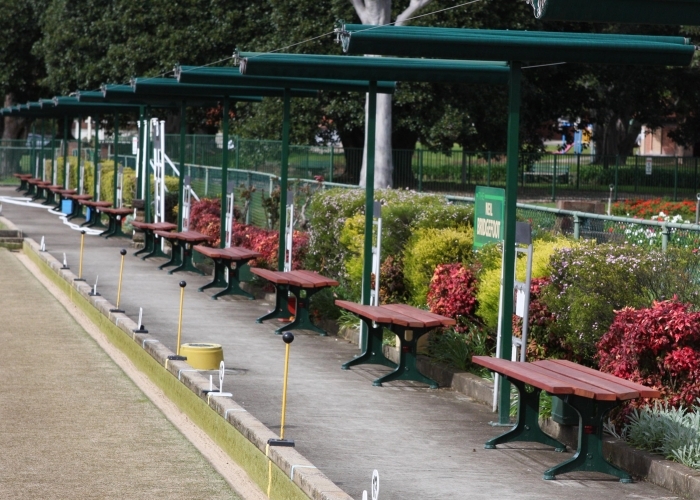 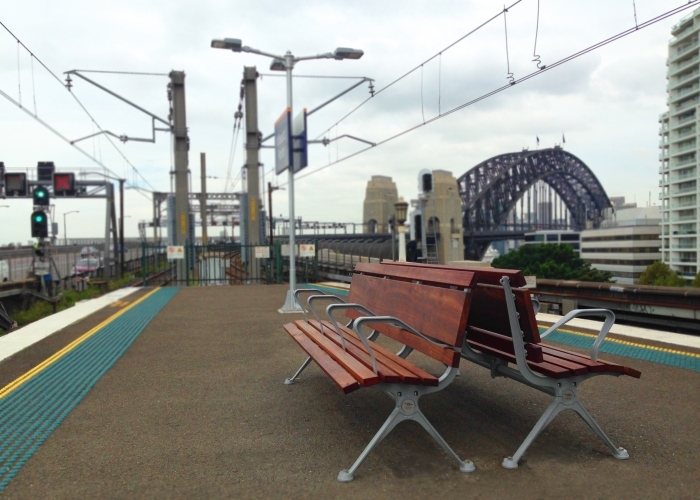 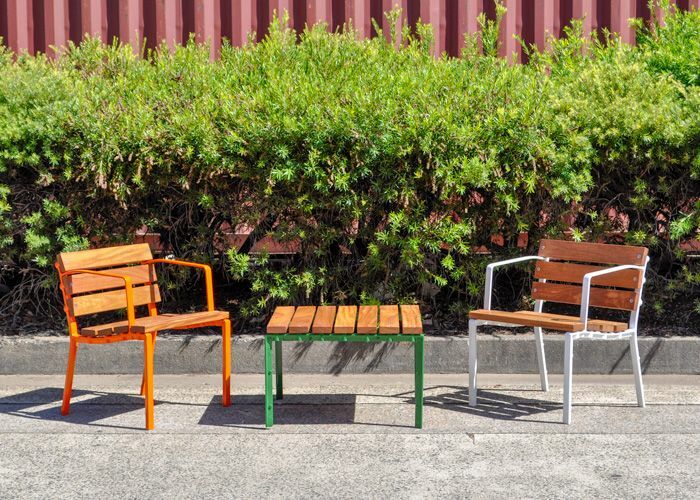 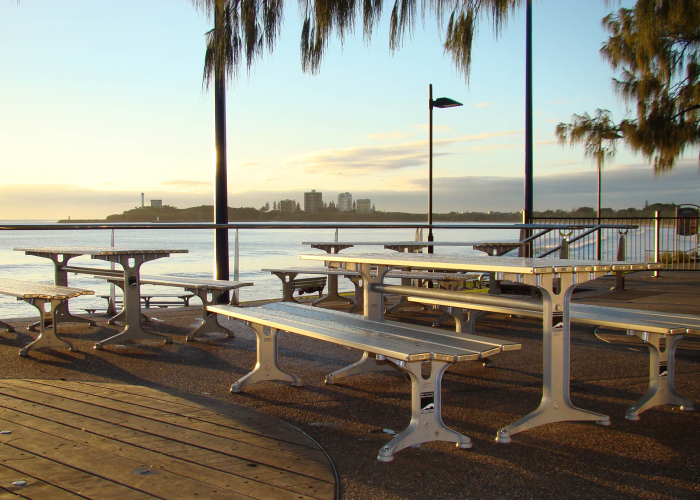 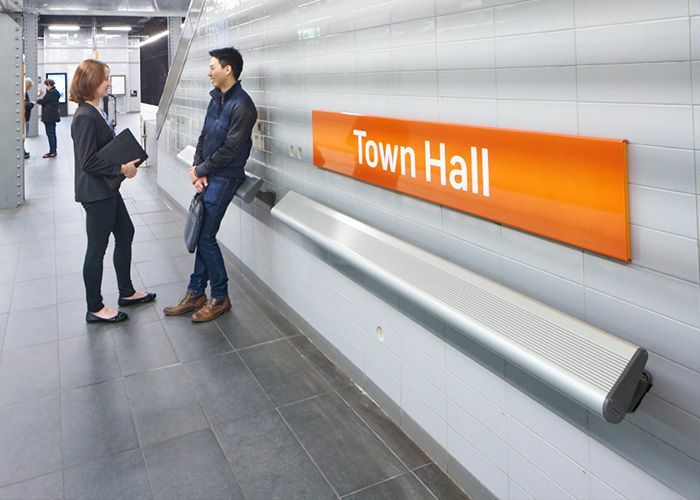 Milsons Point Station received an upgrade with a number of Mall Transit Seats with eco-certified hardwood battens and a Precious Silver finish. 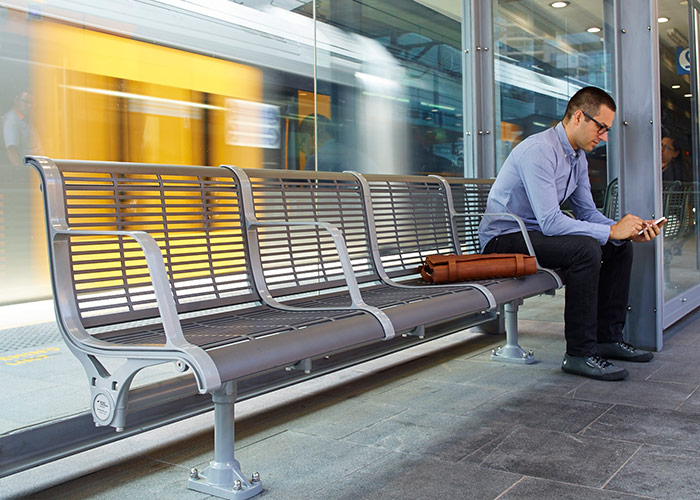 As part of the heritage Mall range, the Transit Seat features casting that is DDA-compliant, with comfortable upright back and arm supports to assist in sitting and standing. 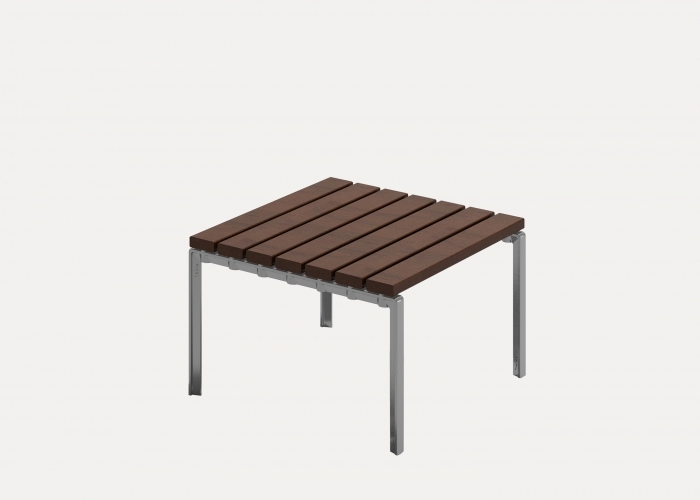 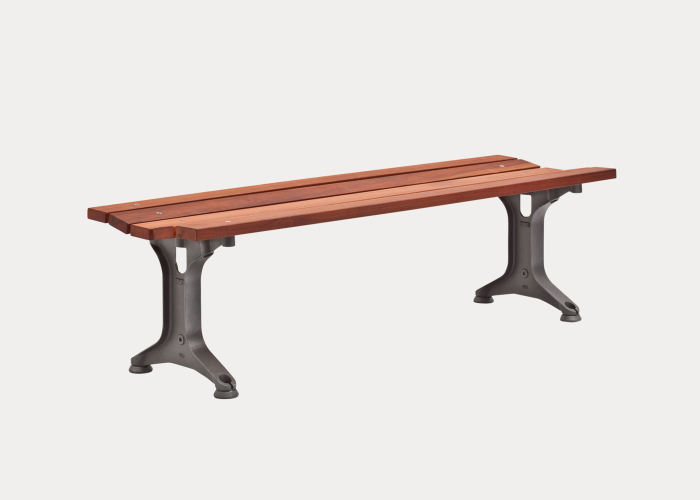 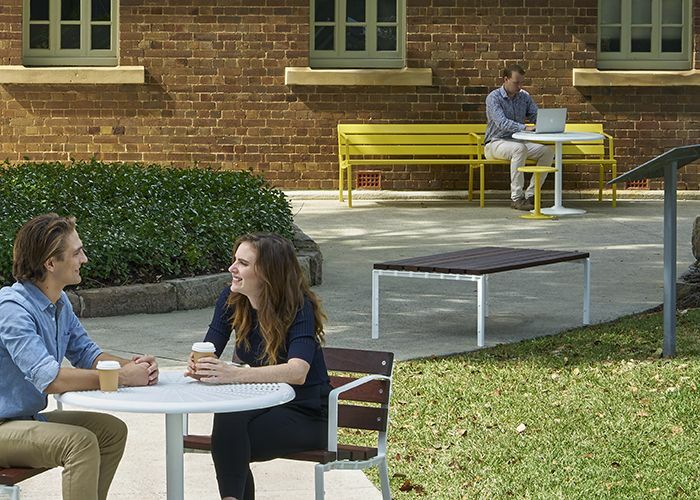 Comfortable and timeless, this versatile seat is ideal for outdoor locations.